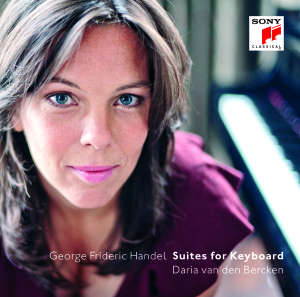 Celebrated for the fresh way she brings piano music to new life, Dutch-Russian pianist Daria van den Bercken is regarded ‘a model for musicians of the future’. As a 2016 Artist-in-residence with the Los Angeles Chamber Orchestra, she presented all the aspects of her successful approach, both in recital and concerto performance, and also in educational and social outreach. Daria explores the whole spectrum of the piano repertoire, as a soloist in concert halls and major festivals and through her passionate commitment to chamber music. In her recordings and personal initiatives she enjoys shining a light on specific composers and collaborating with artists in other fields, something she regards as similar to playing chamber music, in reaching new insights together. In 2017 Daria made her debut with Orchestre Philharmonique de Radio France and Ton Koopman and recently with the Seoul Philharmonic Orchestra and Stefan Asbury, the Guanajuato Symphony Orchestra and Roberto Beltran-Zavala and with the North Netherlands Symphony Orchestra and Arvo Volmer. Previous appearances include the Rotterdam Philharmonic Orchestra and conductors Yannick Nézet-Séguin, Shi-Yeon Sung and JoAnn Falletta, the Arnhem Philharmonic Orchestra and Christoph Poppen and with the Radio Philharmonic Orchestra conducted by Jun Märkl. In 2016-17, her conceived programme on “Elegance” – part of her Keys to Mozart project – toured successfully with the South Netherlands Philharmonic Orchestra and conductor Jonathon Heyward. 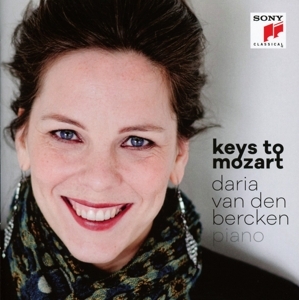 As a recitalist, Daria has made frequent appearances at the Amsterdam Concertgebouw, and enjoyed recent recital debuts at Baroque Unwrapped in Kings Place and the It’s all about Piano Festival in London, the New Ross Piano Festival Ireland, Baroque Conversations series in Zipper Hall in Los Angeles, the Istanbul Music Festival and the Konzerthaus Vienna. In 2017, together with pianist Frank Braley, Daria devised a two piano programme at the Muziekgebouw aan ’t IJ in Amsterdam. With the combined creative forces of film, new compositions, stage design and the input of a philosopher, the project explored “Playfulness”, another key aspect of Keys to Mozart. Daria studied at the Indiana University Jacobs School of Music with Menahem Pressler and Leonard Hokanson and at the Amsterdam Conservatory with Mila Baslawskaja and Naum Grubert. She won the Dutch Classical Talent Award in 2006 and 2008, both as soloist and as chamber musician, and the prestigious Amsterdam Prize in 2012, and has featured in a weekly series about classical music on prime time Dutch television. Daria is a Steinway Artist.